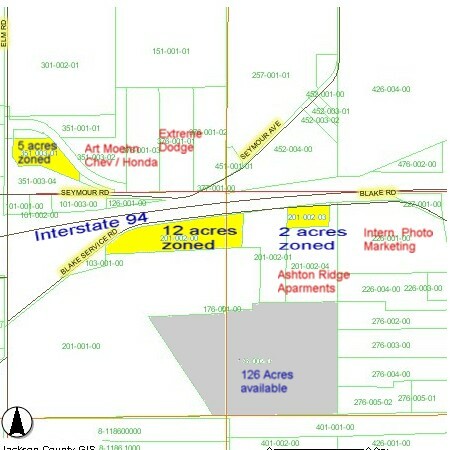 For Sale - Zoned 2 Acre Commercial site on I-94 Service Road, Jackson Michigan. A great location for office or soft ice cream retail. Excellent traffic and residential backup. This highway location offers 2 acres of extremely high visibility and high traffic for your office/research or commercial facility fronting on Interstate 94 Service Road. One land split is possible for a smaller need user. Situated Adjacent to Blake Woods Surgical Center and main entrance to Ashton Ridge Apartment complex. Site contains a very small area of wetland mitigation, which should not hinder use, but must be maintained as wetland.